If 2016 is the year you are learning to sew, improving your sewing skills, or just want to upgrade your sewing machine - check out this short list of great, reliable sewing machines: 2016. SINGER 9960 Quantum Stylist: The SINGER 9960 Quantum Stylist is a 600-Stitch Computerized Sewing Machine with a good reputation for quality. (Yeah, I actually did just write 600 stitches!) That is a mind-boggling amount of preset stitches you can use to create, well, pretty much anything you can imagine. What surprised me even more than the number of stitches the Quantum Stylist can create was the fact that it is a quality machine with so many features for under $350. 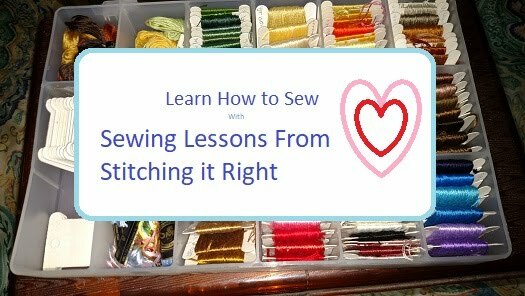 While I have bought cheap, 69 dollar sewing machines at Walmart, and they did work - sort of okay - I generally expect a decent quality sewing machine to cost about $500, and not have many 'extra' features at that price. Janome Magnolia 7318: The Janome Magnolia 7318 is an 18-stitch sewing machine made with the Janome high-quality standards packed into a relatively simple machine. (Oh, and it's super cute as a bonus!) This Janome features a 7-piece feed dog assembly, and what that does is it provides a precise level of control as it feeds fabric under the needle. I saved the feature that excited me most for last, it has a top-loading jam-proof bobbin system. Jam proof! If you've ever had to unjam a bobbin case, you know what a big deal that is and why I consider it an amazing feature - if you haven't, well, just know you don't want to. JUKI HZL-35Z: I associate the name JUKI with quality sewing machines - probably because they were a standard piece of sewing equipment in the sewing factories where I worked when I was younger. The HZL-35Z has the 'pretty' look of a home sewing machine backed by the quality of the company name. This sewing machine has a drop feed that lets you do both quilting and free-motion sewing. It has a free-arm feature for sewing inside sleeves or pant legs. And, it has an automatic needle threader, which is a cool feature for those of us with vision problems. The JUKI HZL-35Z also gives you 27 different stitches to complete your sewing projects with just the right details. Thanks for reading about these three awesome and reliable sewing machines. Feel free to share your thoughts or questions below.